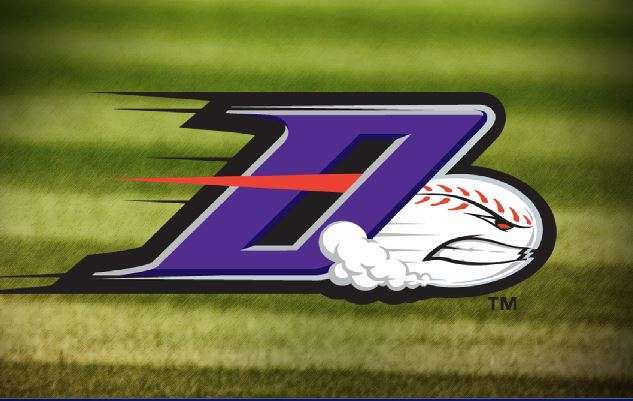 WINSTON-SALEM, N.C. (April 14, 2019) – Winston-Salem fell short in the first Rayados game of the 2019 season, as Potomac came out with a 8-3 win on Sunday afternoon at BB&T Ballpark. Winston-Salem was sporting its Rayados jerseys as part of Minor League Baseball’s “Fun Cup” initiative, during which each participating team celebrates its local Latin American community. Nick Banks hit an opposite field grand slam and David Masters smashed two home runs to lead the Nationals (5-6) to a series split. After Rayados starter Cristian Castillo recorded two quick outs in the top of the first, Potomac went to work offensively. Telmito Agustin, Aldrem Corredor and Jackson Reetz hit three straight singles to set up Banks’ grand slam. Masters followed by belting a solo shot in the third and eighth inning. In total, Potomac recorded 15 hits against Winston-Salem (5-6) pitching. Trailing 5-0 in the bottom of the sixth, the Rayados bats started to get going. With one out in the inning, JJ Muno recorded the first hit of the day against Nationals starter Malvin Pena (1-1) by singling into right field. After a Tyler Frost bunt single, Nick Madrigal ripped a two-run triple down the left-field line to make it 5-2. Madrigal then came home on a sacrifice fly by Jameson Fisher to cut the Potomac lead to 5-3. However, the three-run sixth was all the Rayados offense mustered. Right-handers Frankie Bartow and Jeremy McKinney closed out the ballgame with three perfect innings. Meanwhile, Potomac added two insurance runs in the top of the ninth on a sacrifice fly by Telmito Agustin and a Jackson Reetz double. Winston-Salem continues its seven-game homestand as they begin a three-game set with the Wilmington Blue Rocks on Monday night at BB&T Ballpark. Right-hander Zach Lewis (1-1, 4.00 ERA) will take the mound for the Dash opposite of left-hander Daniel Lynch (0-1, 7.11 ERA). First pitch is set for 7 p.m., and fans can catch all the action on wsdash.com/broadcast, MiLB.tv and the TuneIn Radio App. Pregame coverage begins at 6:45 p.m.